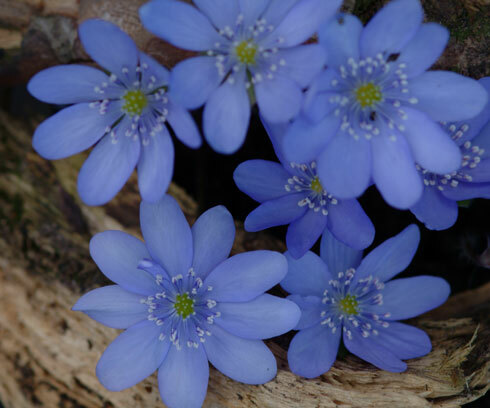 A new hybrid with good blue flowers with a slightly darker centre over strongly lobed foliage. A newer hybrid of the genus and one of the larger flowered with flowers to 3 cms wide or more. 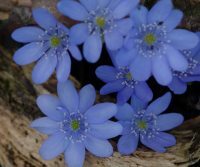 Flowers are made up of broad blue petals, a good strong blue not often seen in the garden, a little deeper than H. t. De Buis. Foliage is tri-lobed and mid green in colour, dying away only in the extreme colder winter months. The flowers tend to rise in early spring before the foliage.